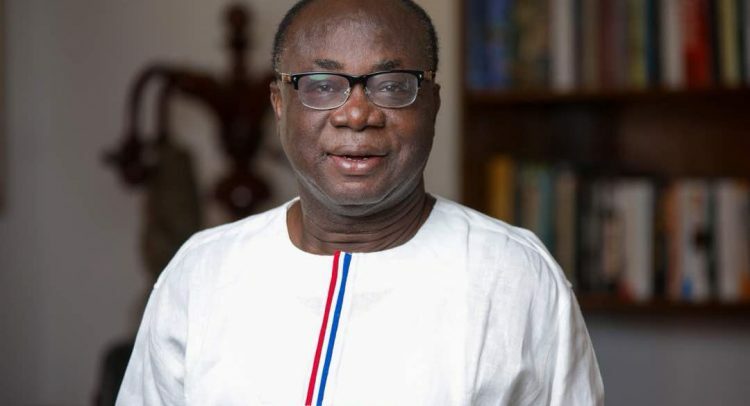 Acting Chairman of the New Patriotic Party (NPP), Freddie Blay, has challenged the Ghana Integrity Initiative (GII) to report him to the Economic and Organized Crime Office (EOCO) and the Commission on Human Rights and Administrative Justice (CHRAJ) to prove the source of funding for the 275 buses he has reportedly pledged to supply the party in all constituencies of the country. Programmes Manager of the GII, Mary Adda, in an interview with Accra-based Peace FM on Monday, questioned the source of funding for the buses Mr. Blay is promising to give to the various constituencies, as he seeks to get elected as the substantive chairman of the NPP in the party’s upcoming national elections. She described the pledge by Mr. Blay as “vote buying” and “abuse of incumbency,” noting that Ghanaians will be interested in finding out how he will fund the buses. She threatened to take the matter to EOCO and CHRAJ for interrogation. But a statement issued by Mr. Blay’s communication team and signed by his spokesperson, Richard Nyamah, indicated that the claim by GII was grossly misleading, urging the anti-graft body to focus on its civil society works and desist from venturing into political propaganda. Explaining how the buses will be utilized, the statement underscored, “The various constituency chairmen and secretaries are to co-sign for each constituency. The said buses are to be run commercially by any bus operator in the country, a process we are currently negotiating on. “The various constituencies will open bank accounts and pay monthly installments. A portion of the proceeds are to be lodged into the constituency account for use by the constituencies for party activities. At the end of full payments, the buses become the property of the constituencies, and are encouraged to buy new buses or invest the proceeds into other businesses to help finance the party at the constituency level,” according to the statement. Meanwhile, Mr Blay, who is campaigning for the chairman position under the slogan, “MaintainToRetain,” has assured the GII that as a lawyer, he is aware of the law on gifts and that he has no intention of flouting same. “We want to take this opportunity to spell out other policies Mr. Blay has indicated he will spearhead if he becomes National Chairman after the July, 2018 delegates’ conference. …he will arrange for a facility to the tune of GH¢100,000 each for all constituency women organizers to buy made-in-Ghana prints in their constituencies to help revive the wax print industry,” the statement added.